Re-expansion gas is gas that gets inadvertently trapped on the wrong side of the cylinder during the piston cycle. This happens when the temperature and pressure of the re-expansion gas rises above the normal temperature and pressure of the suction side. In some cases, re-expansion gas can be extremely problematic for your compressor's operation. In other cases, the compressor design may utilize the re-expansion gas as a means of modulating the flow of your refrigeration or HVAC compressor. 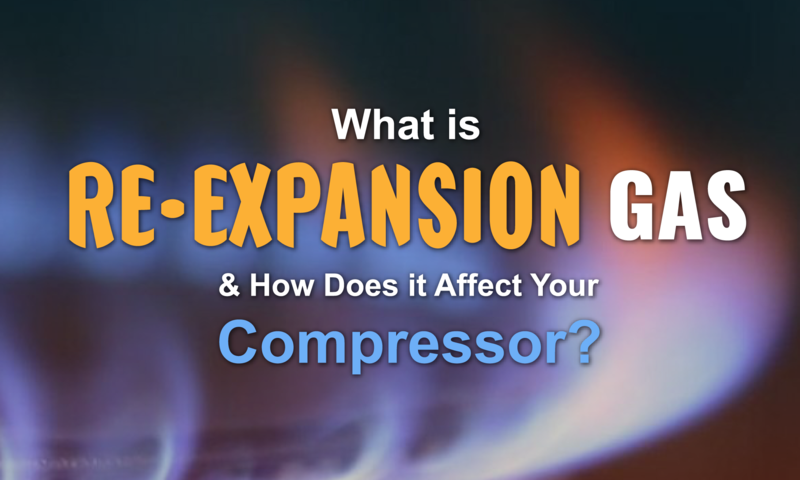 What Does Re-Expansion Gas Do? 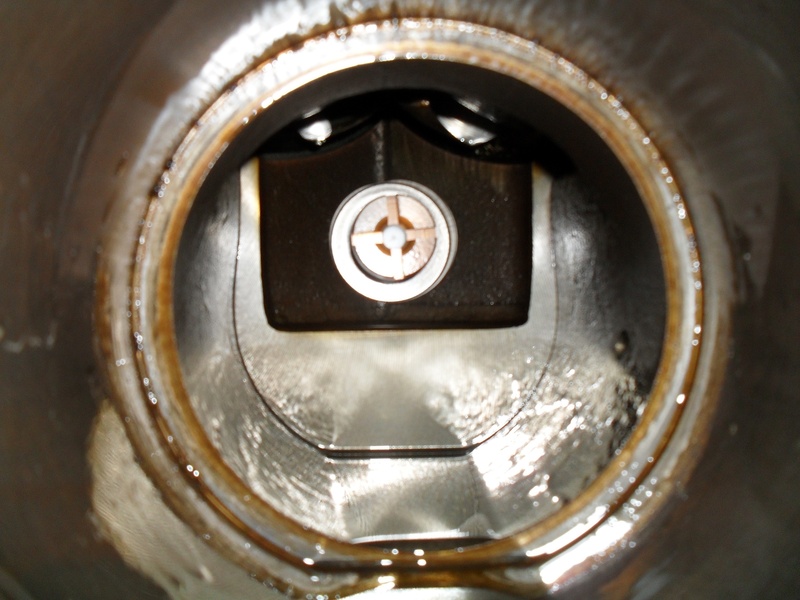 Re-expansion gas trapped in the clearance chamber effectively acts as a roadblock for the piston. As the pressure of the re-expansion gas rises, the piston loses its ability to travel in full strokes. As a result, you will notice that the airflow moving through the compressor drops off sharply. The only way to restore the piston to full capacity is to release the re-expansion gas or lower its pressure until it falls below that of the suction side. When this happens, the compressor will return to its maximum operating capacity and regain full movement. Why is Re-Expansion Gas a Problem? When used to properly modulate the airflow of a compressor using the Over Re-expansion method, re-expansion gas can effectively limit the airflow and allow the user more variability when using an oversized compressor for a particular application. However, for compressors that are not built with this in mind, re-expansion gas can cause a number of problems. First and foremost, it can cause a serious loss in throughput and efficiency right off the bat. If you need your compressor running at full capacity at all times, the losses sustained due to re-expansion can be quite problematic. In addition, allowing extreme pressures to build up on the wrong side of the cylinder can cause significant damage to the internal components of the compressor as well. Since the re-expansion gas prevents the piston from moving freely, you can expect to see damage to the piston rods and more. To an even greater extent, you may find that there is damage to the motor and other components caused by overworking the pistons in an attempt to keep up with demand once re-expansion gas begins building up. The harder the compressor works, the hotter the components get, and the more likely you are to see a serious failure. Re-expansion gas typically happens in compressors that are oversized and only being used at a fraction of their capacity because the compressor does not have the ability to slow down or produce less air. Instead, it creates too much airflow, which builds up in the system faster than it is being used, which in turn causes re-expansion. The best way to avoid this situation is to make sure that you are using a properly rated compressor for your application, and that you understand a variety of control measures available for modulating airflow. If you are struggling with re-expansion gas in your commercial compressors, it is time to call Compressors Unlimited. Our knowledgeable team can help you troubleshoot the issue and identify possible solutions to protect your compressor from any future strain caused by re-expansion. If you are unsure if re-expansion gas is at fault for your compressor issues, we can explain what to look for as you test your compressor as well.